The Best Western River's Edge is located in a beautiful mountain setting in the heart of Red River surrounded by Carson National Forest. We are in the center of everything, within walking distance to the many unique shops and fine restaurants. There are many summer activities such as jeep tours, bicycling, hiking and horseback. 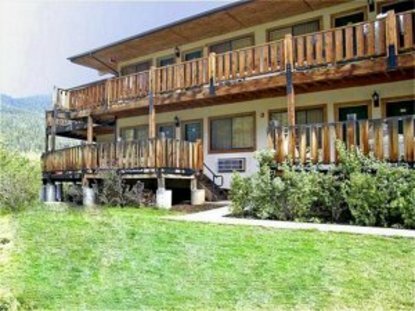 Enjoy fly-fishing off the balcony or barbecues off the deck. Wintertime activities to take advantage of include a foot-bridge to skiing - we are only 50 feet from Red Chair Lift and lessons are available. Relax in our hot tub overlooking the river and chair lift. We are located in the center of town, walking distance to many fine restaurants, go-karts, playhouse and a grocery store. We want your trip to be an enjoyable journey and feel the Best Western River's Edge is a great place to start.